MALDEN – Two Everett men and an Everett woman have been arraigned on numerous gun and drug charges, including possession of a gun that was reported stolen from the Chelsea District Court evidence locker in November 2011, Middlesex District Attorney Marian Ryan informed the public today. Liban Ali, 21, Jeffrey Sanon, 30, and Malensky Oscar, 21, all of Everett, were arraigned in Malden District Court on charges of possession of a high capacity firearm (3 counts each), possession of a high capacity magazine (3 counts each), unlawful possession of a firearm and ammunition, trafficking in cocaine over 36 grams, conspiracy to violate the drug law, and receiving stolen property. Following a 58A dangerousness hearing, Malden District Court Judge Lee Johnson held Ali and Sanon without bail and ordered Oscar held on $25,000 cash bail. Oscar’s bail was subsequently reduced to $2,500 with the condition of house arrest if she is released. The defendants’ next court date is June 5 for a pretrial hearing. 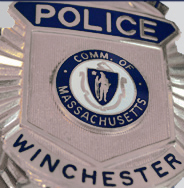 According to authorities, Winchester Police, investigating the breaking and entering and theft of a laptop computer from a local business, obtained a search warrant for the defendants’ Everett residence. Authorities allege that they were directed to the apartment when the antitheft device installed on the laptop indicated it was in use at that location. When officers from the Winchester police department, accompanied by officers from Everett, arrived at the residence to conduct the search warrant, all 3 defendants were at home. Officers allege they found more than 36 grams of cocaine and packaging materials. They seized several high capacity firearms, one of which—a .40-caliber Glock pistol—was reported stolen from the evidence locker at Chelsea District Court in 2011, and a shotgun. Additionally, they found several high capacity magazines, additional ammunition and the computer stolen from the Winchester business that was the initial subject of the search warrant. These charges are allegations, and the defendants are presumed innocent until proven guilty. 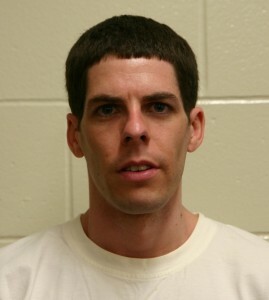 The prosecutor assigned to this case is Assistant District Attorney David Rubin.